A refreshed exterior design makes all the difference. The annual Geneva Motor Show may be best known as the venue for supercar and hypercar debuts but mainstream brands like Kia are also there in full force. 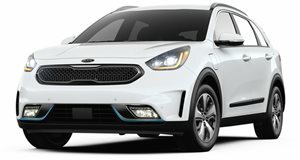 This year, Kia will debut its upgraded Niro hybrid and plug-in hybrid crossovers with a number of welcomed cosmetic improvements inside and out, as well as some new technology. The most noticeable update is without question the exterior styling, which receives new front and rear bumpers inspired by the Niro EV, standard daytime LED running lights, and "Ice Cube” projection headlights. There are also new paint colors and 16- and 18-inch alloy wheel options. LED headlights and fog lights are optional. Step inside and the updated interior now has more premium dashboard materials and the old school handbrake has been ditched in favor of an electric one. The steering wheel also gains paddle shifters for manual control of the six-speed dual-clutch automatic transmission. Kia is also introducing an optional 10.25-inch widescreen infotainment display and 7-inch driver cluster display. The Niro comes standard with an 8-inch touchscreen and 4.2-inch cluster. The automaker’s UVO Connect telematics system will also be optional. 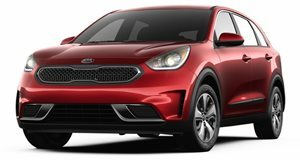 The refreshed Niro (2019 model year pictured below) also has a series of new active driver-assistive safety technologies like Lane Following Assist and additional Stop & Go functionality. Underneath, the Niro remains the same. A 1.6-liter gasoline engine connected to a 1.56 kWh battery pack powers the hybrid while an 8.9 kWh pack is used for the plug-in hybrid. Official pricing has not been announced, nor have details regarding the pending North American market version, which we expect will feature the same updates. It’s possible a New York Auto Show debut for that will happen in April. We hit San Antonio, Texas, to test drive Kia's next big thing. The Niro is the ultra-efficient hybrid that enthusiasts WON'T hate. Kia has proven stellar fuel economy doesn’t have to come at the expense of our eyeballs. More than Tesla, Kia is doing its part to ensure that the future is electric…and affordable.